My dear friend Jackie is having her third baby! She is due within the next couple weeks and just had her baby shower. She got this cute owl baby bedding set from Target so I knew I had to paint something cute to go with it. 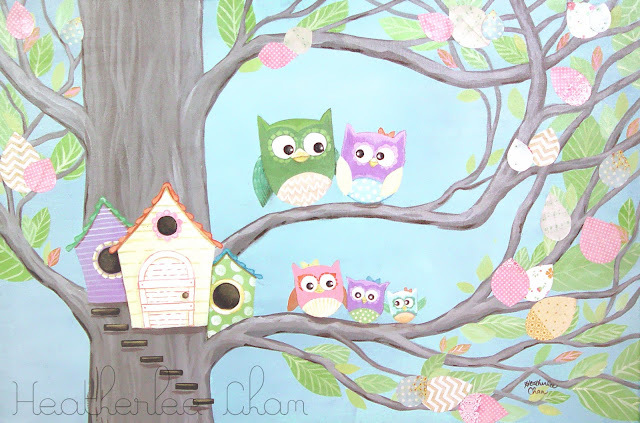 It's got a Papa, Mama, and three little girl owls. Their last name starts with a B so I was pleased to stand back and realize the owls are sitting on branches that form a B shape. What a happy accident! No matter how hard I tried, I could NOT get a picture that represented the colors accurately. It is so pretty and soft in person. I also added patterned paper for some of the leaves. It's one of my favorite baby paintings. 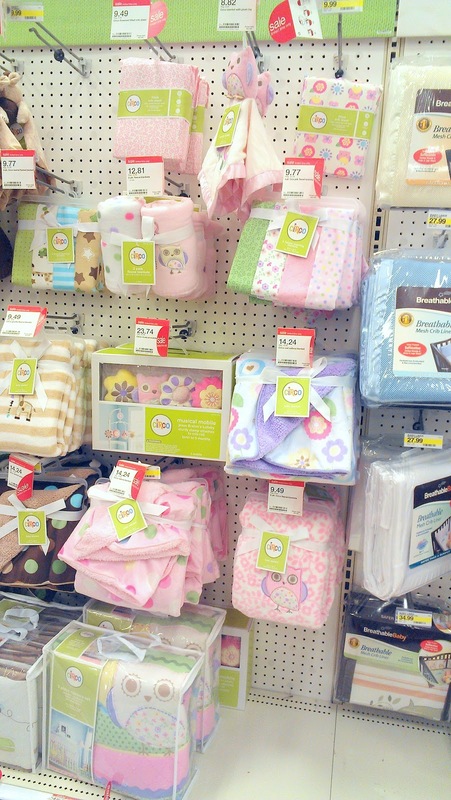 Here is the display at Target. This bedding inspired the painting. I also made a pretty baby mobile to match. You can see it here. That is a really fun painting on the wall! Did you have a residential painting company to paint that for you or did you do it yourself? Great job! Thanks, Derek! I painted it onto a large canvas so she could hang it above the baby's crib.